This page has been set up to support the ‘Isla Austin Appeal’. 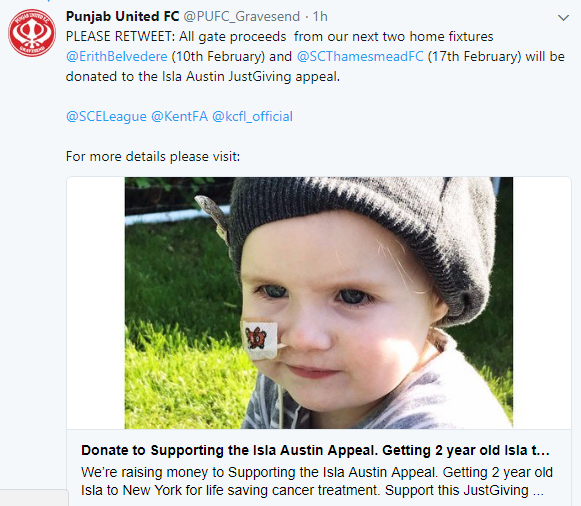 They have been raising money since December 2017 to pay for cancer treatment for Isla in New York for life saving treatment. They have been working with a charity to get them to New York and help with fundraising. The £155k that has been raised covers the medical treatment, flights and accommodation. People have been asking them how they can continue to support Isla. This fund will be for any additional medical requirements, equipment, well being and to keep her comfortable and happy in New Year. Like most girls her age, Isla loves being creative and adores anything pink, sparkly and cuddly! Playing outdoors is another favourite of hers but since the diagnosis, family dynamics have changed. Isla has received extensive treatment and undergone numerous procedures as part of her treatment plan. Having responded well so far, the family hope that she’ll have no evidence of disease following the final part of her treatment – immunotherapy – at the end of December. But the prospect of a relapse is extremely real for Isla; and relapsed neuroblastoma has a less than 1 in 10 chance of survival. 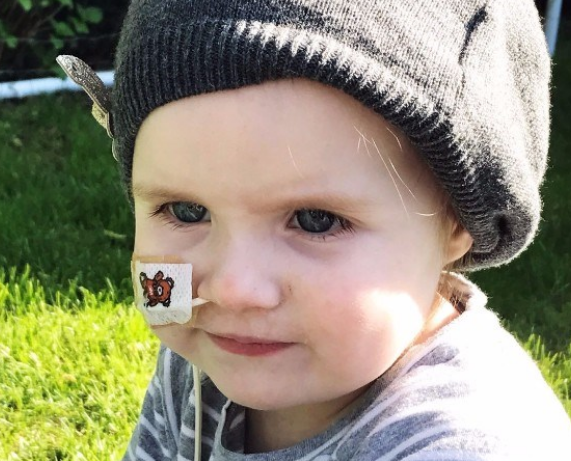 Ever positive and prepared to fight, Rick and Anna have chosen for Isla to access the Bivalent Vaccine clinical trial at Memorial Sloan Kettering Cancer Center, New York, in the hope that it will help prevent the cancer returning. Isla’s end of treatment scans must show no evidence of disease to make this possible. They must also raise the necessary funds. Desperate for their daughter to have the best chance of life, they are appealing for your help to raise £155k. These funds will cover the cost of the treatment, the associated costs of accessing the treatment (e.g. travel and accommodation) and ensure a contingency fund for any unforeseen complications whilst overseas. “It’s an overwhelming amount of money to raise but we are determined to give Isla the best chance. Even if it gives her one extra day, then it would have been worth it for us.” Rick and Anna, Isla’s parents. Copyright © 2019 North Kent Non League . All rights reserved.